On September 13th 2015 Kiss Me Kate will be taking part in a Childrens Fashion Show in Portsmouth, UK for Childrens Charity Follow Your Dreams, fundraising for illness and disability. 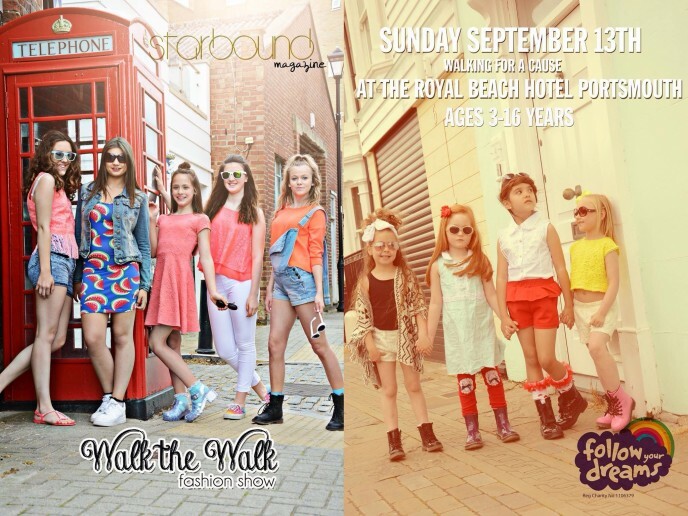 The models are children from across the country joining together for the Charity cause in sizes 3-16 years. Last year we held a successful event raising £3000 for Childhood Cancer. Join us at the Royal Beach Hotel, Southsea for an incredible day celebrating young talent and see of our amazing new prom and very sparkly evening gown collection.